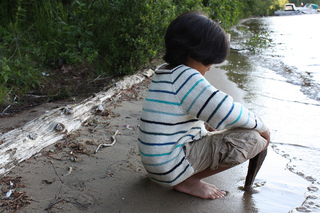 My little ones love to collect rocks, dip their toes into the bay, roam and explore and are always in need of a cool pullover that can withstand their adventures. 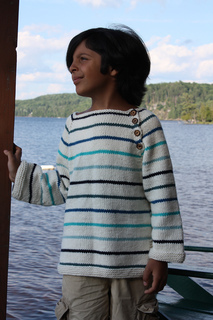 Seamus is the quintessential summer pullover with two nautically inspired stripe patterns & seamless construction making it quick and easy to knit during the warmer months. While the little ones are busy collecting & investigating, the sleeves can be rolled up and buttoned in place so as not to interfere with their activities. 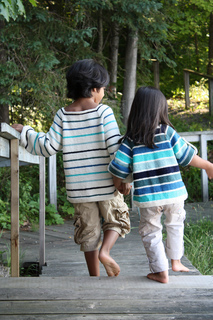 This classic unisex pullover can be passed down to younger siblings and will continue to look loved the more it is worn. 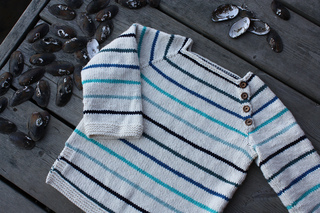 ~ Pullover is worked top down, seamlessly & flat, then joined to work in the round after buttonholes are completed. 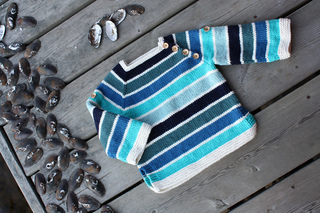 ~ Raglan shaping is worked along yoke, then sleeves are worked in the round.